At the time of her birth, Princess Ingrid Alexandra of Norway, a member of the House of Glucksburg, was declared second in line to her grandfather's throne. Early in her life, she made headlines by attending a public school rather than one of the private institutions where members of royalty were typically educated. She was born in a position to become her country's second female regent (Queen Margaret, the first woman to preside over Norway, ruled in the Fifteenth Century). 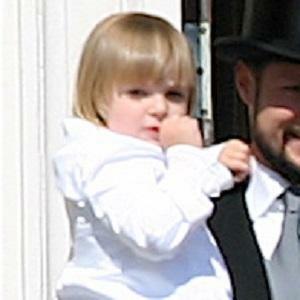 She was born to Crown Prince Haakon of Norway and his wife, Crown Princess Mette-Marit. She grew up with an older half-brother (her mother's first child) named Marius Borg Hoiby and a younger brother named Sverre Magnus. Her grandparents are Queen Sonja and King Harald V of Norway.